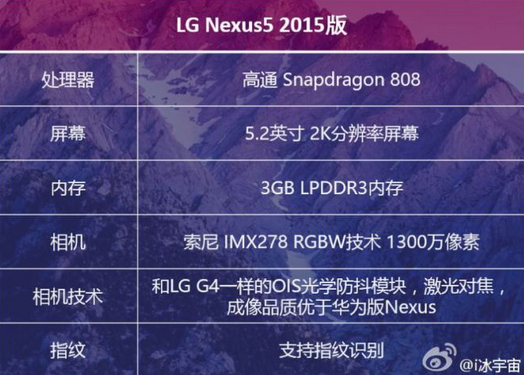 The latest rumored specs for the Nexus 5 (2015) have been discovered on China's Weibo micro-blogging site. This is from the same source that posted the benchmark test scores tallied by a number of next-generation chipsets. He says that the Nexus 5 (2015) will feature a 5.2-inch, 1440 x 2560 resolution qHD screen. That works out to a 565ppi pixel density. Under the hood will be the Snapdragon 808 SoC, which comes with a hexa-core 1.8GHz CPU and the Adreno 418 GPU. 3GB of RAM LPDDR3 is inside. The rear-facing 13MP camera features a Sony-made IMX 278 sensor, and does offer OIS. According to the source, the Nexus 5 (2015) camera will outperform the rear snapper on the Samsung Nexus handset. No information was posted about the front-facing camera for the Nexus 5 (2015). However, the other day we told you about a selfie taken by a Google employee who allegedly QA used the front-facing camera on the phone. According to the Exif data, the camera was discovered to have a 5MP sensor. 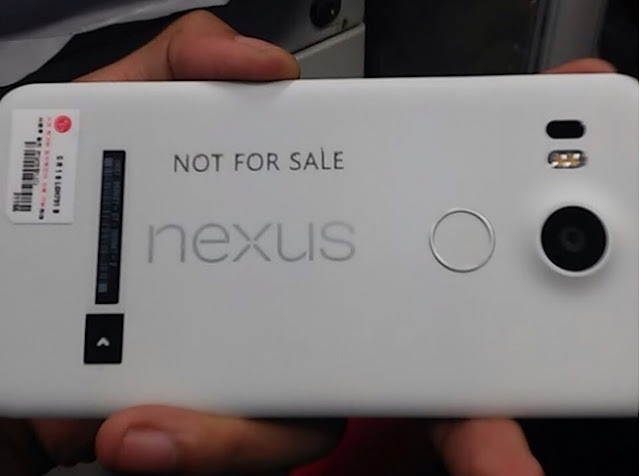 We've seen images claiming to show the built LG Nexus 5 (2015) and the Samsung Nexus. As we've said before, the Nexus handsets usually get unveiled in the second half of October, so we have several weeks remaining before we might see the new models become official.